1	jplist-folder-All-Posts-4570 Product-Literature-Product-Literature	jplist-topic-Cloud-based-Pbx jplist-topic-Cloud-based-Voice jplist-topic-Dial-Plan jplist-topic-hosted-pbx jplist-topic-Hosted-Voip	0	09/22/2017 14:12:21	Combine Your Communications Hardware and Phone Service in the Cloud. Jive Voice is a cloud-based PBX phone system that combines traditional PBX hardware and service into a single hosted solution. It offers all of the advanced features of an enterprise PBX system with over 80 Hosted VoIP features. 2	jplist-folder-All-Posts-4570 Product-Literature-Product-Literature	jplist-topic-Abandoned-Calls jplist-topic-Agent-Reporting jplist-topic-Average-Time-To-Answer jplist-topic-Call-Center jplist-topic-Call-Queues jplist-topic-Call-Reports jplist-topic-Call-Wallboards jplist-topic-Cloud-Contact-Center jplist-topic-Contact-Center	0	02/03/2017 17:10:20	Your contact center in the cloud Businesses of all types and sizes can benefit from Contact Center insights and functionality. Jive Contact Center delivers a broad set of inexpensive contact center features and valuable real-time reports to enable better management of call queues and incoming customer calls. 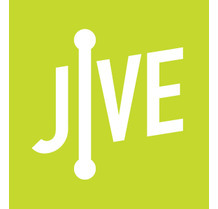 Increase agent productivity and enhance callers’ experiences with Jive Contact Center. 3	jplist-folder-All-Posts-4570 Product-Literature-Product-Literature	jplist-topic-cloud jplist-topic-Cloud-Communications jplist-topic-hosted-pbx jplist-topic-Hosted-Voice jplist-topic-Smartphone-Apps jplist-topic-Softphones jplist-topic-Unified-Communication	0	08/17/2016 13:13:04	Your Business Phone Applications. Any Device, Any Time, Anywhere. Jive Mobile, Jive Desktop, and Jive Web are software applications that let you use Jive Voice features everywhere you need them. Enjoy flexible communication options that include talk, chat, and text.